Here we have "Night Vision Lightning McQueen"! 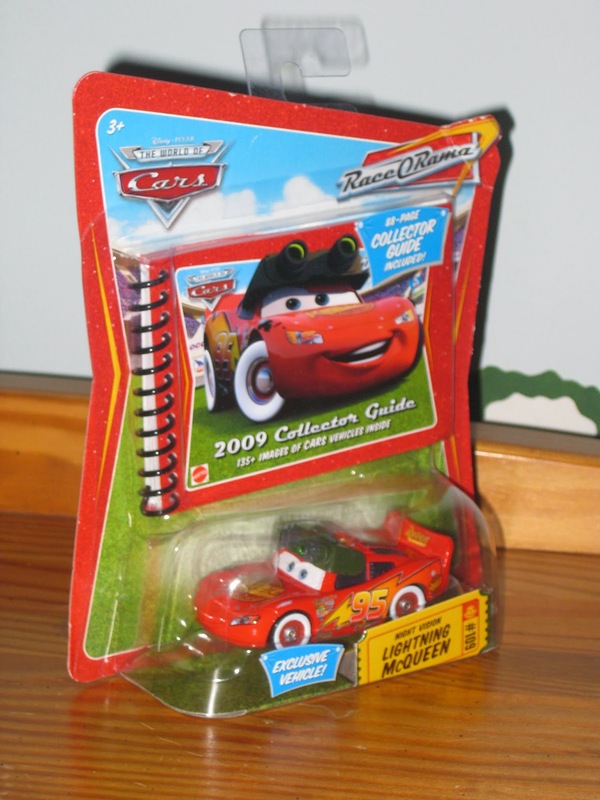 This McQueen was originally available in the Race O Rama series in 2009, includes the movie scene accurate white wall tires and comes with a pretty neat collector's guide. As shown in the screenshot above, Lightning McQueen is seen wearing these night vision goggles while in Sarge's Army Surplus store during the "Route 66" montage in the original Cars (when it showcases him helping out the townsfolk with their businesses). Thanks for stopping by and look forward to many more cars to come! Julie got me this one years ago and for some reason I really love it. 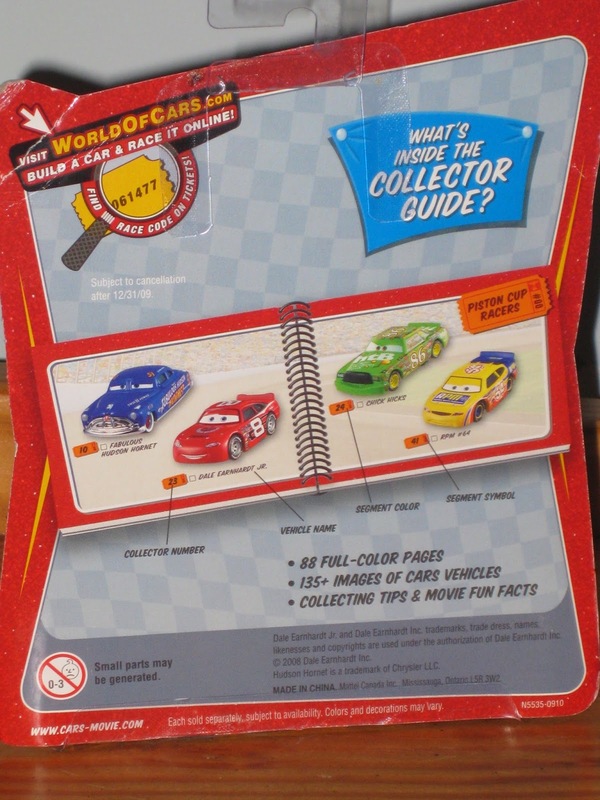 I also really liked the booklet that came with it - I think I like it because it was the first place I saw a collection of the cars all together like that in print. I love this one as well and totally agree about the booklet. I want one organized like that for every single car/ collection with pictures! I guess actually the DK one with Mcqueen that came out in 2012 is close enough to that actually even though it;s missing quite a few. Also speaking of cool Mcqueens, I just remembered one I didn't see on the spreadsheet! I added to my section and didn't know if you had it or not but I didn't see on either or your lists...the "chase" celebrity signature Mcqueen! As far as a list of cars printed out goes - I bought this book from Take5aday which is actually a pretty good representation (more than the book) of more of the cars (though there are a few errors). Also, I didn't add the celebrity McQueen one to my list since it's a lenticular one...although I almost caved because of the extra piece in the package.